Recently at a friends party I tasted a coconut macaroon from the dessert tray. My favorite candy as a child was the Mounds bar, so; anytime I see a sweet made with coconut, I’m in. 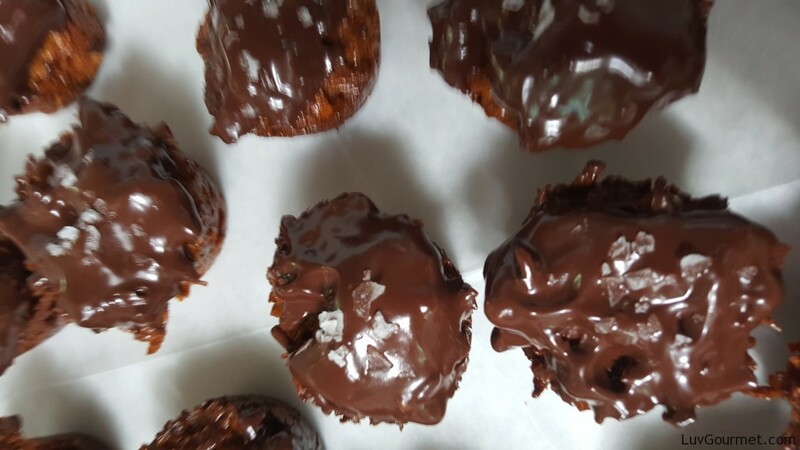 I naturally asked for the recipe and prepared to, gather the ingredients as well as a couple of extra ingredients I felt would really push this confection over the top. I finished making them as my husband was ready to leave for work. Naturally he asked to taste one as he often does. After a bite or two he exclaimed, “Honey you’ve made it to”Flavor town”. I started to laugh as he continued his Fieri-esque diatribe. '”The coconut is moist, you get the sweetness from the dulce de leche, the chocolate makes it powerful and you taste a final burst from the sea salt!” I said woo, Guy Fieri better watch out. My husband is after his job! This recipe is gluten free and condensed milk can be substituted for Dulce de leche and the recipe can become perfect for Passover. In a medium bowl mix the coconut and the Dulce de leche. Using mini cupcake trays, spray with vegetable oil. Fill trays. Recipe should make 30 cookies. Let cool and remove from trays. 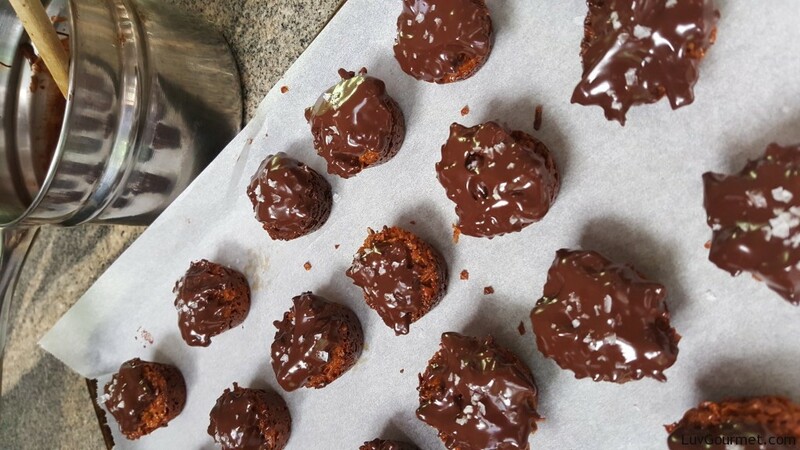 Melt chocolate in double boiler and dip tops of macaroons.